Much of what we learn arises through direct experiencing, and the kinds of learning required for work are no exception here. Yet, some of the knowledge needing to be learnt for contemporary work cannot be directly experienced. It is opaque, hidden or abstracted in some way and, therefore, cannot be directly experienced. 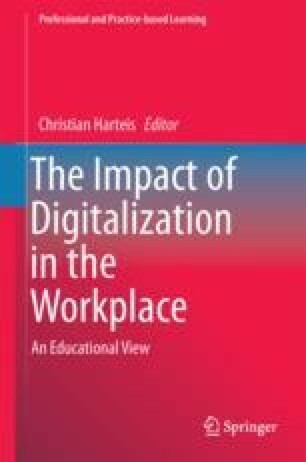 A feature of work requirements in the digital era is a growing requirement to access and appropriate conceptual and symbolic knowledge, which is not immediately evident or accessible in workplaces. This presents particular challenges for its effective learning and requires ways for making it accessible and guiding its learning. It needs to be secured through means other than direct experiencing and without assistance from cues and clues afforded by the physical environment. This chapter draws upon recent findings from studies of contemporary work and human cognition to consider how these important elements of learning for contemporary work might best be realised through guidance and pedagogic interventions, and learners’ intentional efforts. It does so by engaging with premises advanced through literature from social constructivism and cognitive science. These accounts offer bases upon which these kinds of hard-to-access and hard-to-learn knowledge that might be developed for work that increasingly relies on symbolic form of knowledge for its enactment (i.e. digitised work). These are essential for contemporary working life, and we need to know how they can be secured through experiences in both educational and workplace settings.